Control, efficiency, and productivity are poised to make a massive leap. Installing a highly customized lighting system has never been this easy or safe. Customized your space's lighting in a fun, easy way that your employees will love. New buildings offer endless opportunities- the only limitation is your imagination. 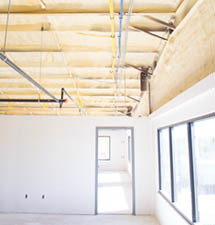 Installing GENISYS in a new building, though, is not near as costly as traditional AC lighting. More possibility, less money. The choice is simple. 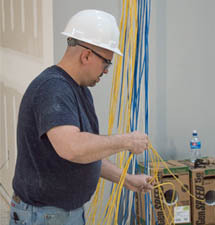 PoE Lighting is perfect for an existing building, or Brown Wall project, as the installation of CAT5/CAT6 cable doesn't require conduit, making installations less restrictive. GENISYS has been installed beautifully in existing spaces- check out our Installations page for recent examples! 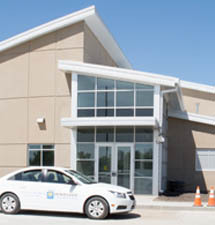 GENISYS PoE Lighting Systems have been installed everywhere - from warehouses to laundromats. If you demand everything from your lighting, GENISYS has a solution for you. We will answer any questions you might have about whether or not a GENISYS PoE Lighting system will work for your situation or any other curiosities you may have. We're here to help.